This weekend, I have not one but TWO amazing weddings to look forward to! 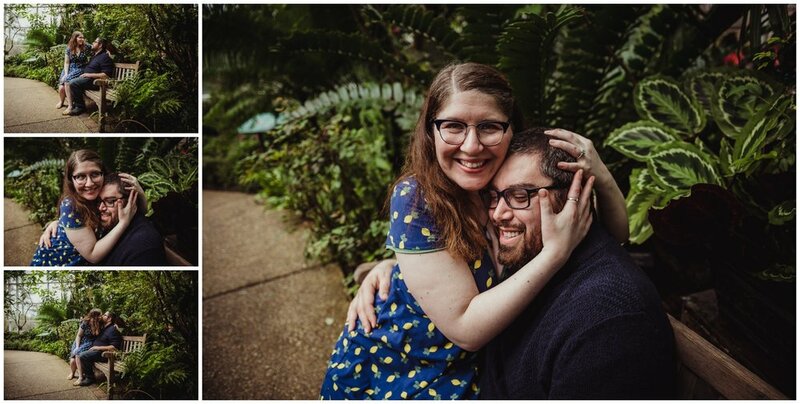 I already showed you Chris and Lori's engagement pictures, and now it's time to see Charlotte and Arthur's! 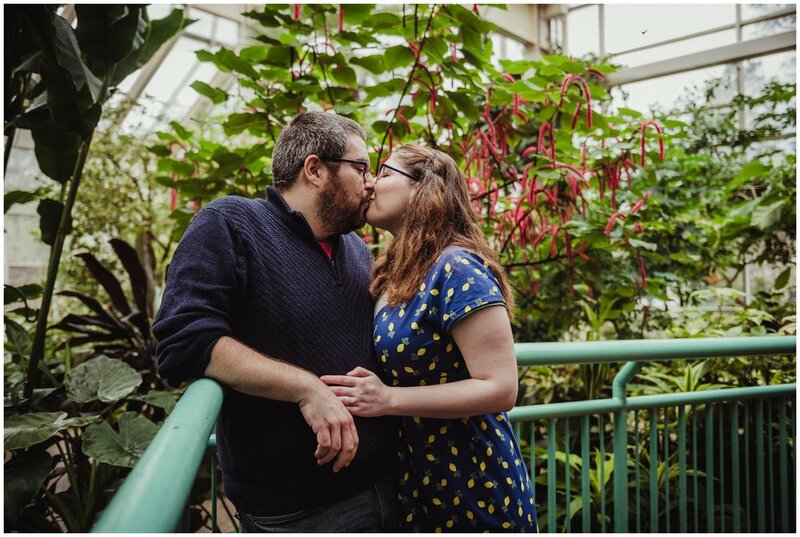 I was introduced to these two lovely people by a fabulous wedding planner friend of mine, Emily of Emily Katherine Events. We chatted over email and set up a meeting, and I finally got to meet them one night at Starbucks. They told me all about their event, happening on Easter Sunday at the Bridge Club in downtown Raleigh. This is going to be epic (although I promised Arthur I'd lower my expectations of awesomeness... but it IS going to be truly epic!). There will be lots of wine, a Harry Potter and Game of Thrones kind of vibe, and instead of dancing... games. Lots and lots of board games, like Disney Codenames, Cockroach Poker and my all time favorite... Exploding Kittens. There will be decks of cards and a Nintendo Switch... like I said, truly epic! And I cannot wait! 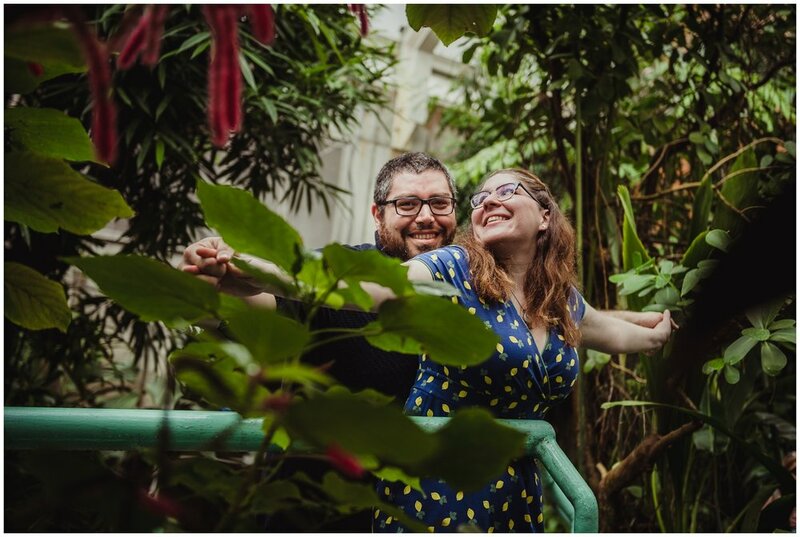 We met up again at the end of February to do their engagement pictures at the Butterfly House at the Durham Museum of Life and Science. It was sooooo beautiful! 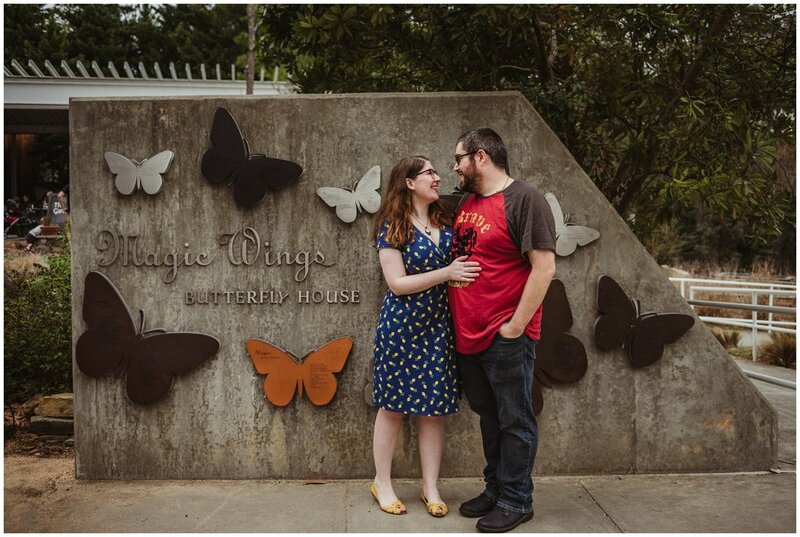 Arthur and Charlotte really wanted to incorporate butterflies into their festivities, and I have a thing for butterflies in general... so it was absolutely perfect. We walked around, got photobombed by little ones, and played out a scene from the Titanic (not THAT scene peoples, there were kids around!!!). We met a lovely staff person who walked around with us, getting out potted pineapples and making sure we had everything we needed. It was so much and such a great way to start out their photo series! Take a look and wish them well as they get hitched this weekend!!! Eeeeeek!!! 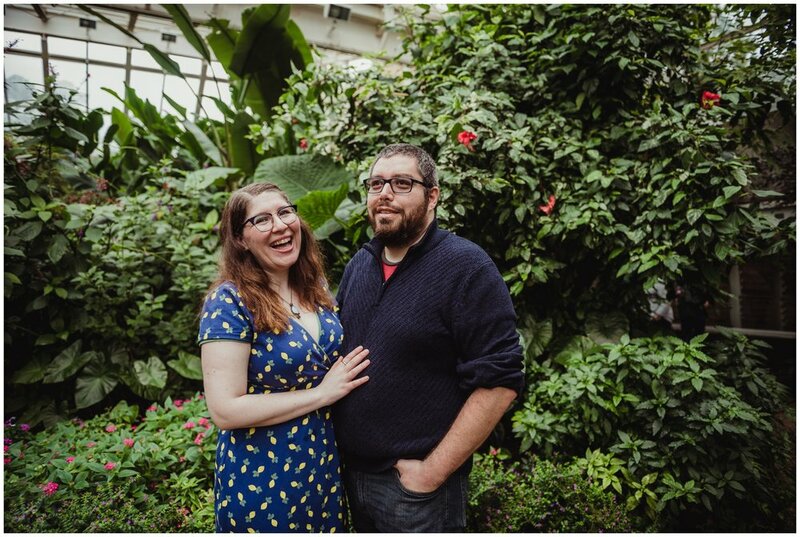 Ready to laugh and have fun during your engagement session??? Contact Rose Trail Images today to set yours up!